Upney is something of a rarity in the geography of London: a place that has lost its identity despite having a station that bears its name. That name meant ‘higher island’. Most of Upney’s housing was built between the wars as part of the council’s slum clearance programme. Upney station opened in 1932. The dominant feature of the locality is Barking (originally Upney) hospital. Shortly before the First World War local people raised the money to found the hospital, and new blocks were added in the 1930s and 1960s. Most of the hospital site was sold for resid­ential devel­opment in 1999, although some specialist acute facil­ities have survived. The former maternity wing, opened in 1987, is now the Upney Lane walk-in centre – an outpa­tients and minor injuries unit with a local branch of Moorfields eye hospital. On the vacated land, Wilcon Homes built houses and maison­ettes while Hanover housing associ­ation added flats for the elderly, with associated care facil­ities. 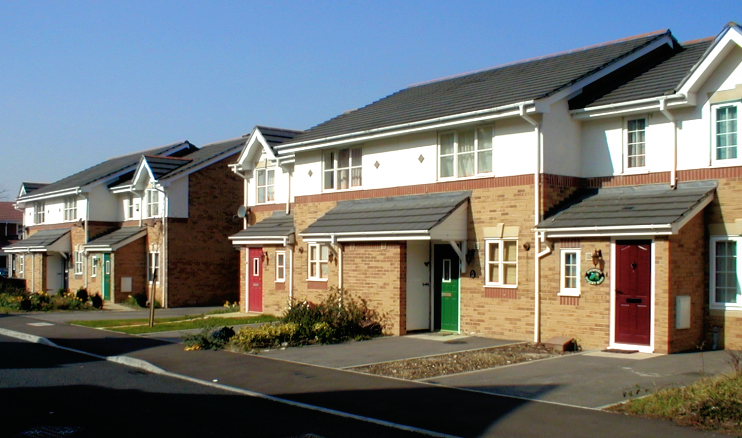 The Wilcon housing is centred on Goodey Road, shown in the photo­graph above. A signi­ficant minority of Upney’s residents are of Indian or Pakistani origin and, after English, Punjabi and Urdu are the most widely spoken languages. Across Ripple Road (near the bottom of the map below), Eastbury Manor House, was built for an Essex merchant during the reign of Elizabeth I – and has been relat­ively little altered since then, especially in its overall plan. Now a National Trust property, this grade I listed mansion is shown in the photo­graphs above. In the early 17th century the house attracted wealthy Catholic families who could practise their religion here in safety, and some Gunpowder Plot mythology has consequently become attached to it. 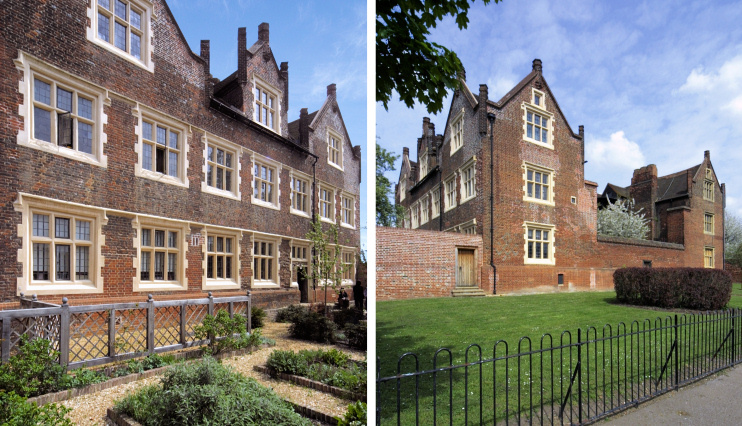 Like many of London’s minor historic mansions, Eastbury is managed by the borough council – which has recently made impressive efforts to enhance its visit­ab­ility. There are costumed guides, special activ­ities for kids and an exhib­ition that tells the story of the house and the people who lived here. There’s also a tearoom and a walled garden. Regrettably, however, opening hours are very restricted, especially in winter. Nevertheless, special events are regularly organised – often of a ‘family friendly’ nature and primarily targeted at local residents – and announced on Facebook and Twitter. Rooms can also be hired for every kind of function from naming ceremonies to funeral teas.